Maz came by the house and listened to our needs regarding the work we wanted done. He gave us great insight which helped us with our decision. Maz and his workers dealt with me in a professional manner which is rare to find nowadays. They took their time in making sure the job is done right. I would definitely recommend them to my friends and family. We take pride in every job that we complete. Trust, honesty and EXCEPTIONAL customer service is the foundation of our business. We try to exceed our client's expectations every time in order to build long lasting relationships! 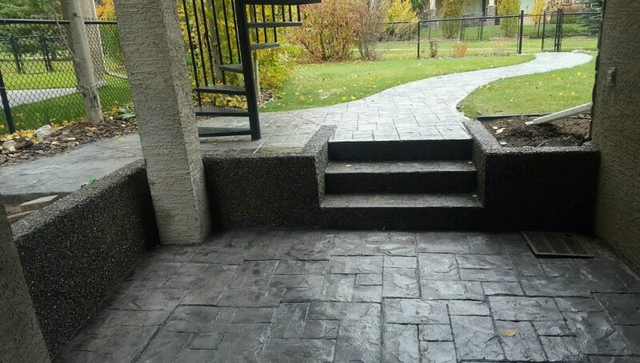 For all your concrete needs, call Stallion Concrete Inc.
>> Top quality finished products every time! >> Warranty for all work performed for up to 5 winters. >> WCB registered, Certified, Bonded and Insured! Call or text us TODAY at 403-700-0777 for your FREE QUOTE and an early seasonal discount! !